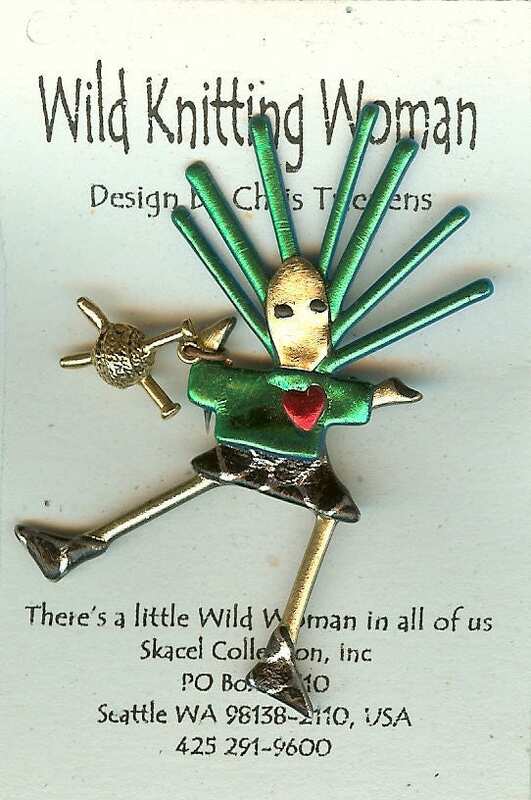 Wild Knitting Woman Brooch is available in 4 colors. Black & silver brooch has two positions for knitter but same black & silver. Was sold by Skacel. Made of heavy plastic. 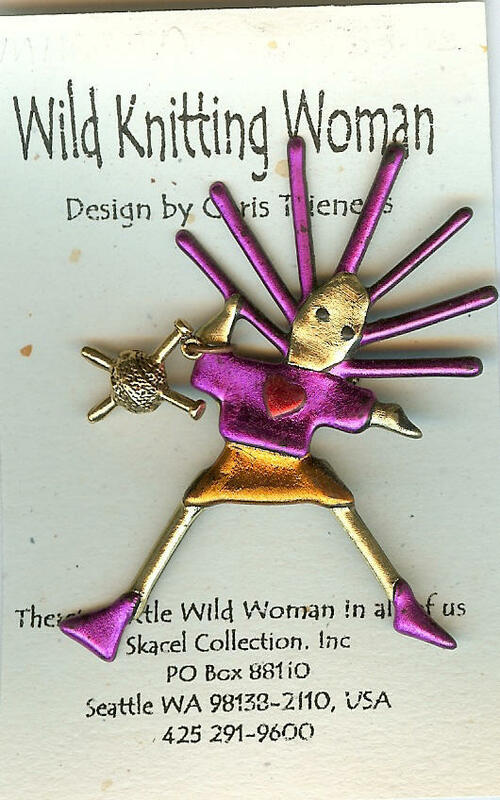 Has pin back. Back is black. Made of a hard plastic. 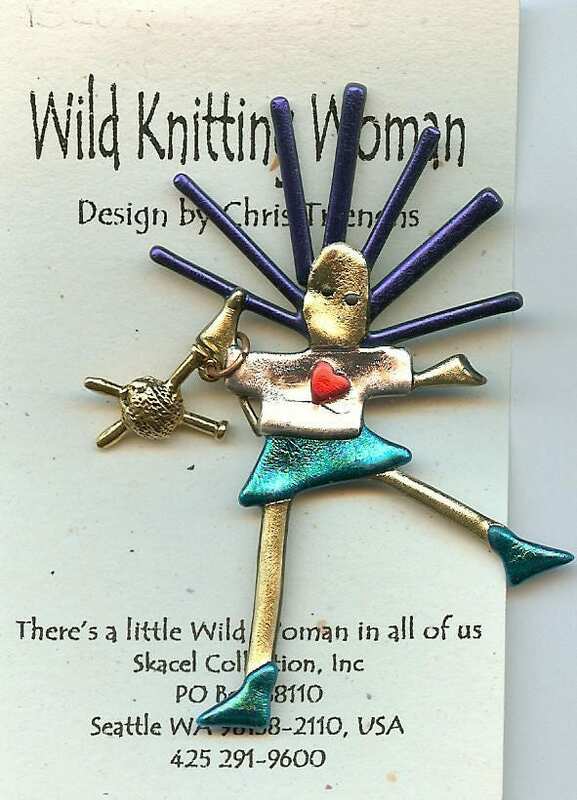 Great knitters gift. Pins all measures 3.25 inches high and 2.25 inches wide.